Fantastic small car - great for advertising too! Smart ForTwo Coupe At Crazily Low Price! Peugeot 308 1.6 HDi At A Great Price!! Ford Fiesta At Lowest Ever Price, You Can't Afford To Miss Out! The new shape Toyota Aygo for less! Fantastic price on the Suzuki Alto. 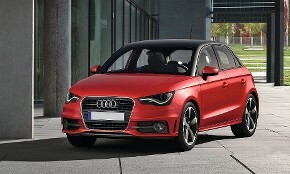 Get the award winning Audi A1 for less than you thought! At Cars4Agents we prioritise ourselves in getting the best deals for the property professionals so don't miss out on getting the Audi A1 Sportback 1.6 Diesel Sport for less than the 3dr version!